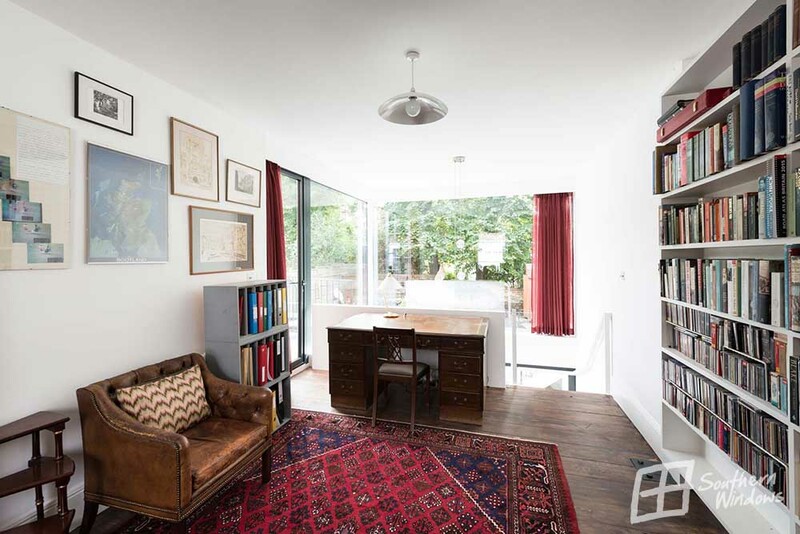 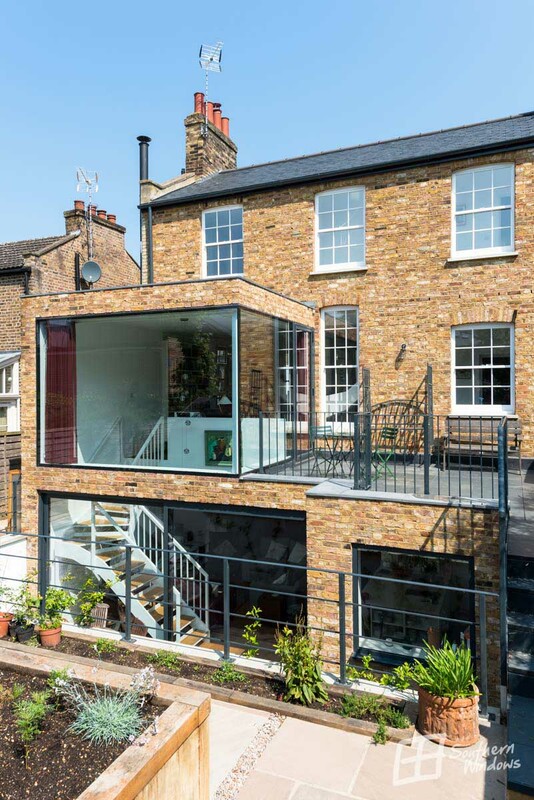 This semi-detached Victorian house received a dramatic but lightweight transformation. 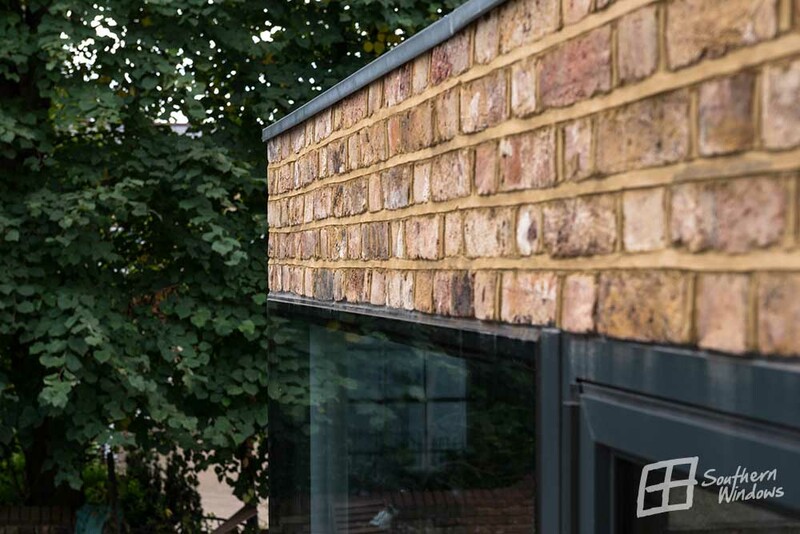 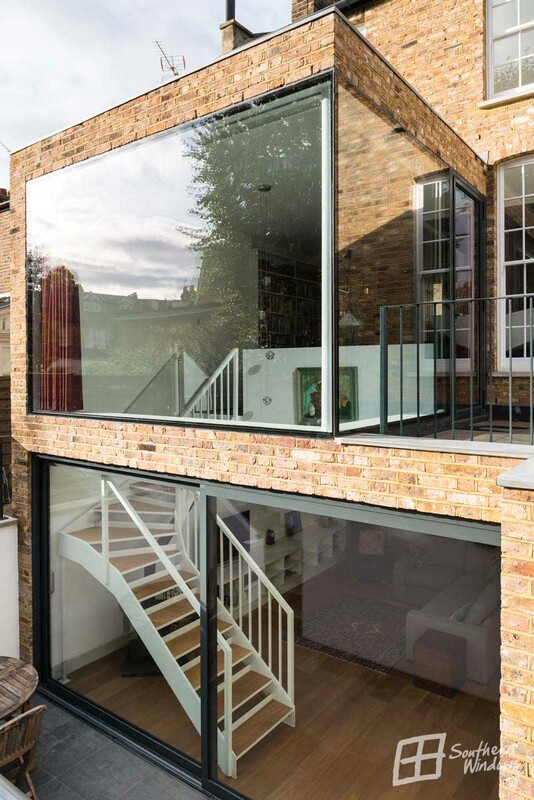 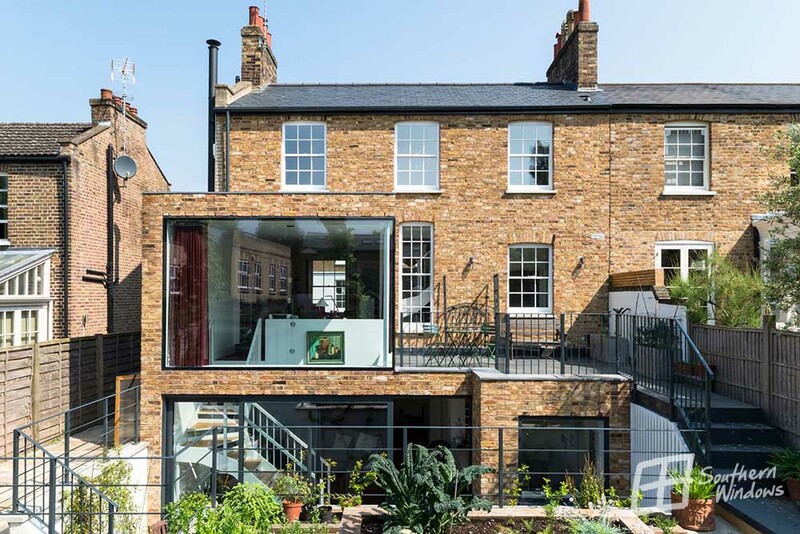 By merging large contemporary frameless glazing with the traditional brick extension the house retained its period character and added a modern twist that allowed for plenty of natural light to flood inside. 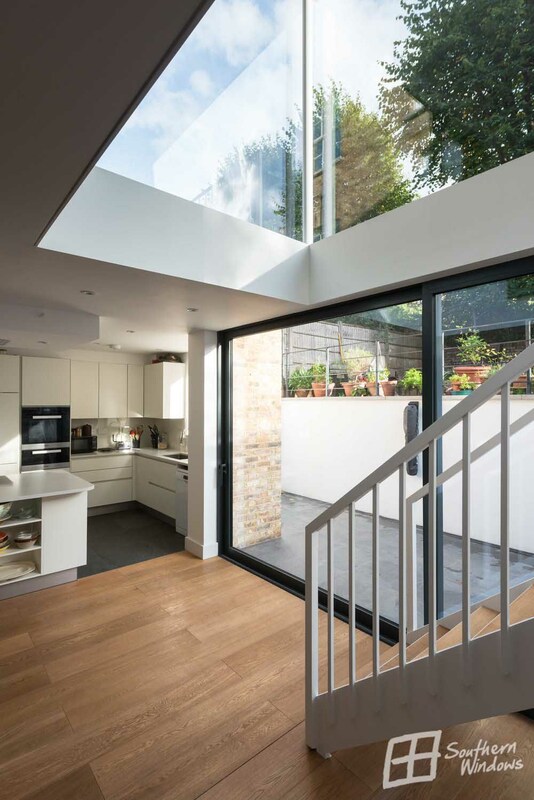 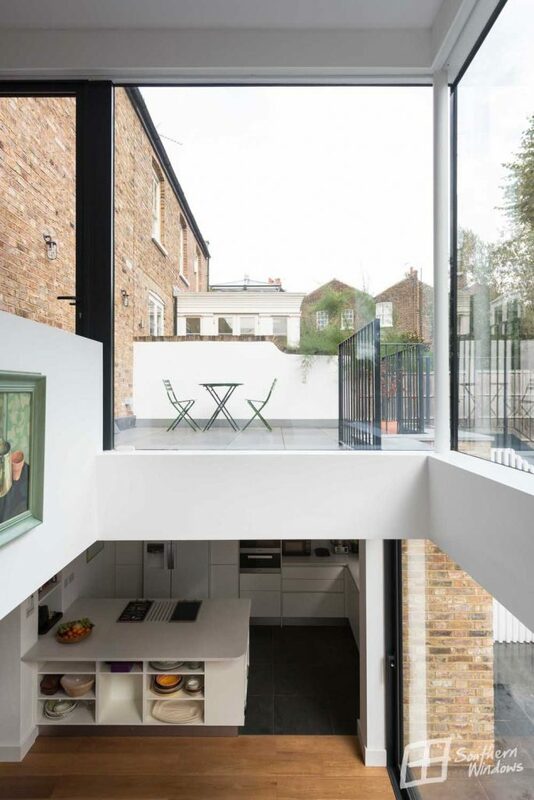 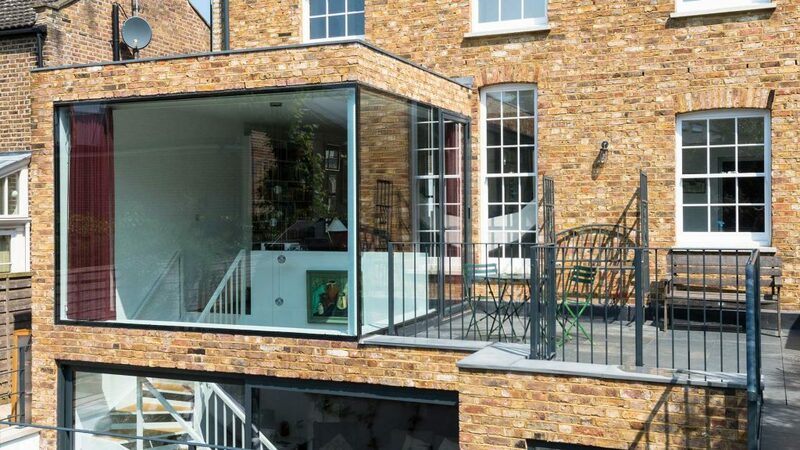 The two storey extension is made predominantly of glass and features large sliding doors at the lower level.